#MATERIALS: "Smartphone Materials Inspire Kyoto Prize Laureate"
The Kyoto Prize is the technology version of the Nobel Prize, awarded each year to three recipients in technology, basic science and philosophy/art. 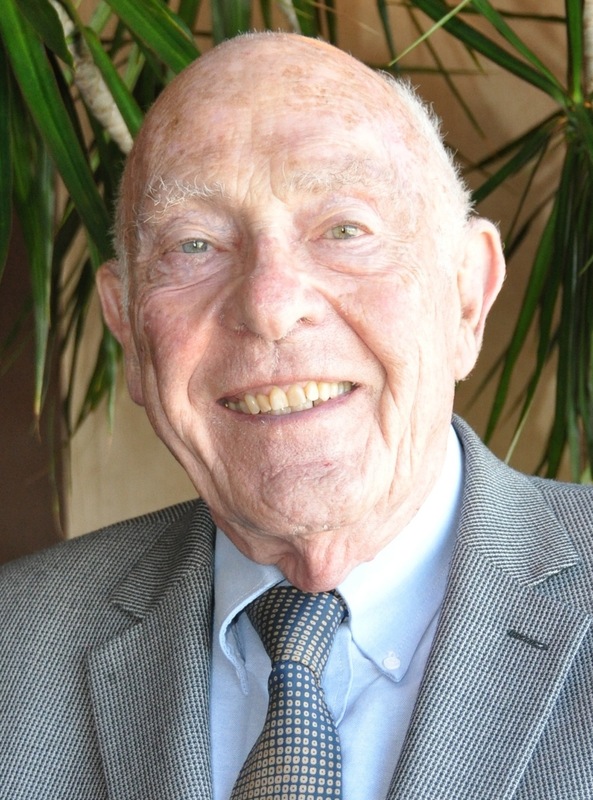 This year's recipient in advanced technology, National Institute of Technology scientist John Cahn, is estimated by NIST to be responsible for the development of more than 50 percent of the advanced materials in a modern smartphone. National Institute of Technology materials scientist John Cahn was recently awarded the 27th annual Kyoto Prize for lifetime achievement in advanced technology. Cahn's contributions to advanced materials science are routinely used in technological developments in renewable energy, computing, robotics, medicine, transportation and other technical fields. The Cahn-Hilliard equation, developed by Cahn with General Electric scientist John Hillard, continues to play a key role today in everything from advanced windshield materials that repel frost to the modern explanation of why uniform expanses of cosmic dust clump together into galaxies. Later, Cahn incorporated an elastic strain energy term to extend the model into the third dimension, as well as laid the foundation for the modern theories of phase fields. As a result of his insights into thermal conductivity, pore permeability, heat resistance and magnetism, super-alloy properties have resulted in materials breakthroughs in metallurgy, physics, mathematics, chemistry, engineering, economics and demography. Cahn began his career at GE before moving to the Massachusetts Institute of Technology and later to NIST. While at GE, he established himself as a pioneering thinker in the kinetics of nucleation, showing how thermodynamics governed phase transformations in solids. At MIT, he extended the theories that explained the insights he observed while at GE, eventually creating the modern theory of phase transitions in metal alloys that led to the widely used Allen-Cahn equation, which he formulated with his graduate student Sam Allen. At NIST, Cahn further developed his theories of advanced alloy materials, establishing the modern theory of spinodal decomposition. Cahn is currently an Emeritus Senior Fellow at NIST and an affiliate professor at the University of Washington (Seattle). Also receiving the Kyoto Prize this year was astrophysicist Rashid Sunyaev, a citizen of both Russia and Germany, who will receive the award for discovering that fluctuations in cosmic microwave background radiation can be used to look back in time at the origins of our expanding universe. The Inamori Foundation--created by the founder of technology conglomerate Kyocera Corp. (Kyoto, Japan)--awards each Kyoto Prize laureate $625,000 in cash along with a solid-gold medallion studded with eight perfect precious stones that were grown from scratch in Kyocera's semiconductor ovens--four emeralds of 4 to 12 carats each and rubies of nearly 7 carats each. #ENERGY: "Boosting efficiency may require 'cool factor'"
The Smart Energy Panel at the Freescale Technology Forum held here last week addressed the issue of smarter energy efficiency by asking its panelists to expound on the question: What is the biggest hurdle to action? Smart Energy experts consisted of (from left): moderator Freescale's own senior vice president, Henri Richard, professor Brewster McCracken executive director of The Pecan Street Project, founder of KLD Energy Technologies, Christen Okonsky, Duke Energy director of advanced consumer technology Mike Rowand, and Jun Shimada, president and CEO of ThinkEco Inc.
#ALGORITHMS: "Enterprise App Stores Harness HTML5"
The Volt client application allows enterprises to authenticate their employees' mobile devices from the cloud-based Antenna Mobility Platform from which universal HTML5 applications are provisioned. Software developers used to have to rewrite their apps for each platform they serve, duplicating their efforts for Apple's iOS, Google's Android, RIM's BlackBerry Playbook and Hewlett-Packard's webOS, but no more. Now, enterprise IT can provide universal HTML5 apps provisioned from cloud-computing resources to serve employees, regardless of platform. The application community is sidestepping mobile-device vendors' application stores by providing universal HTML5 applications that users can't tell from a normal application. The "Financial Times" rocked the application community recently by sidestepping mobile-device vendors' application stores by providing universal HTML5 applications that users can't tell from a normal application. After downloading, the HTML5 application remains in local cache memory even after the user goes offline. When harnessed by enterprise IT, these new universal HTML5 applications can be provisioned and managed using cloud-computing resources. IT organizations serving their employees with such universal HTML5 applications can harness built-in authentication and security apparatuses that keep data private while simultaneously preventing applications from becoming avenues for intrusions. 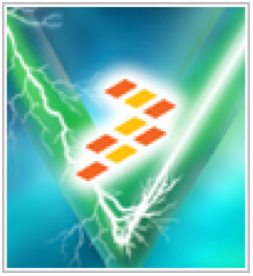 For instance, Volt from Antenna Software provides cloud-computing resources that manage all the infrastructure details that put enterprise managers in direct control of their employees' HTML5 applications regardless of the mobile device they are using. #SECURITY: "Blacklist Aims to Block Telecom Fraud"
The hacking/phreaking culture lures the brilliant and best to waste their talents on cyber-attacks that thumb their noses at civil society, or worse, perpetrate outright theft, prompting the formation of a community blacklist to restore order. While the bulk of the publicity on today's hacking/phreaking culture focuses on cyber-intrusions into online computers, a growing threat also comes from phreaking attacks on telecommunications systems where fraud not only inconveniences phone-system users, but also fleeces them financially. With technological solutions fighting a losing battle, 'community blacklisting' emerges as a necessary evil. Humbug's Statistics Dashboard (top) provides analytics and reporting for voice networks including total calls, duration, average success rate (ASR), average call durations (ACD), cost summaries and caller leaderboards. 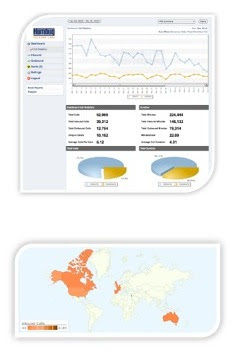 Traffic Visualizations (bottom) of both inbound and outbound traffic use graphs and maps that can be zoomed-in on specific countries or phone numbers. #ALGORITHMS: "Smarter Task-Transfers Use Mobile Cameras"
MIT and Google have devised a method of transferring tasks between your smartphone and your computer by merely pointing the cell-phone camera at your PC's screen. How many times have you found a Web page on your smartphone that you want open on your desktop computer? 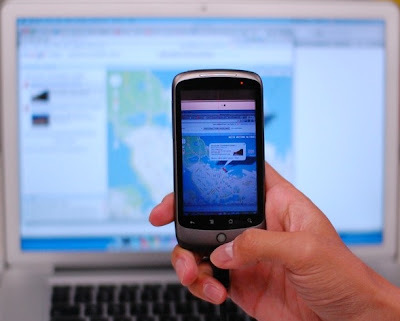 Or perhaps you were viewing your destination on Google Maps and want to transfer that to your smartphone. Using an experimental app called Deep Shot, you can do these things by merely aiming your smartphone's camera at your computer. #MATERIALS: "NIST materials scientist awarded Kyoto Prize"
The Kyoto Prize winners this year include material scientists pioneer John Cahn, now an emeritus Fellow at the U.S. National Institute of Standards Technology (NIST). Cahn's numerous contributions to the science of metallurgical alloys--including the co-authorship of the seminal paper explaining quasicrysals--are widely used in semiconductors, robotics, medicine and transportation. The other two Kyoto Prize Laureates for 2011 include the winner in Basic Sciences, Rashid Sunyaev, a Russian astrophysicist with co-citizenship in Germany, who proposed the theory that fluctuations in cosmic microwave background radiation could be used to look back into time at the origins or our expanding universe. And in Arts and Philiosophy, this year's Kyoto Prize Laureate is Tamasaburo Bando V, a Japanese theater performer and Kabuki actor specializing in female roles, who has become world renowned a creator of elegant beauty that has influence many artistic genres. The Kyoto Prize Laureate will be officially honored in Japan on Nov. 9th, each receiving a 20-karat-gold medallion and $625,000. The ceremony and gala will be repeated in the U.S. in San Diego. Calif. on March 20-22, 2012. #ALGORITHMS: "Pizza Analytics Serves Bigger Slice of Pie"
Business analytics is not what many think of when ordering pizza, unless perhaps when using Papa Gino's mobile app to take advantage of personalized special offers, ready in 30 minutes. Papa Gino's, a New England pizza chain, has boosted its average order total while simultaneously upping the frequency of orders per customer by turning to real-time analytics. The analytics effort was done through a collaborative venture with QueBIT Consulting, a business partner of IBM. In the past, Papa Gino's was able to boost the average order total by virtue of customer loyalty programs. The programs rewarded customers who signed up with special offers encouraging them to add on additional items. Likewise, the pizza maker was able to boost the frequency of ordering by offering free downloadable apps for smartphones that made it easier for customers to place orders. However, it took business analytics to help unearth a formula that increased both total orders and their frequency, simultaneously. One surprising factor that the company claims it would never have thought of on its own is how personalized special offers are delivered. Analytics revealed that 80 percent of pizza lovers in New England prefer to have personalized special offers delivered by text messages, rather than email or from in-app offers. Another example is that frequent customers prefer the freedom to redeem these offers for take-out or dine-in pizzas. As a result of these and other previously hidden trends among its loyal mobile customers, ordering frequency has been boosted, along with an average increase of order totals by 50 percent. Medium-sized businesses like Papa Gino's--with 280 restaurants including its D'Angelo grilled sandwich shops--might have thought they were too small to harness business analytics being run on IBM's massive cloud computers, but by working with QueBIT, the chain has been able to reap a positive return on investment (ROI) right out of the (pizza) box. "Being able to track and analyze customer feedback and response [has] grown our transaction count significantly as more and more people join our rewards program," said Paul Valle, CIO of Papa Gino's. "[These trends are] not something we would have been able to tell as easily [without analytics]." Instead of spending 80 percent of their time just gathering data, and only 20 percent analyzing it as Papa Gino's did in the past, according to Valle, now management can spend the bulk of their time on analytics. For the future, the pizza chain plans to begin minimizing labor costs with predictive analytics that match staff scheduling to projected customer demands throughout the chain. And if that goes well, Papa Gino's plans to extend analytics to tracking store inventories and all the other important aspects of pizza making, from hand tossing to boxing the pie. #SECURITY: "Smarter Security Screening Hands-Free"
A smarter, yet relatively inexpensive, security screening technology requires no human intervention to detect explosives, according to its developers. Recall how psychedelic black lights make tiny particles glow that are invisible in normal illumination. Now researchers at the University of Florida have patented a similar method that automatically detects the tiniest traces of explosives using harmless UV (ultra-violet) lights similar to black lights. The TSA (Transportation Security Administration) has created a $3 billion market for sophisticated screening equipment, and yet a printer cartridge filled with explosives, originating in Yemen and bound for the United States, was only intercepted in Dubai by virtue of a tip to intelligence services. 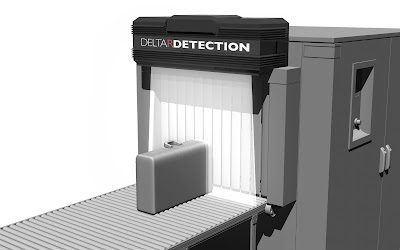 Now a University of Florida invention, which is currently being commercialized by Delta R. Detection, is claimed by its inventors to be able to automatically detect and flag explosive laden cargo, including that U.S.-bound printer cartridge. "Nobody has tried this before us," said Thierry Dubroca, a University of Florida postdoctoral research associate who is also the CEO of the Delta R. Detection startup now gearing up to license the patented technology. Its first licensee, Proxitronic Industries AG, will manufacture the scanner for use in Europe and by the TSA in the United States. More than 625 million people travel annually on commercial aircraft after having their baggage screened by x-rays, metal detectors and millimeter-wavelength scanners that pinpoint objects inside their bags or under their clothing. The most sensitive detectors today use spectrometry, but require the surface of cargo to be swabbed with a liquid that picks up particles, or "puffed" with air to dislodge particles from bags. The University of Florida technique, on the other hand, can be used without touching bags or people as they go by, even when there are no operators present. By shining a harmless UV black-light on luggage as they move past on a conveyor belt, or on people as they walk through a portal, completely automated detection can be implemented. Scanning the reflected light for specific frequencies reveals the chemical makeup of any detected residues. Each type of explosive has a specific type of emission spectra, a unique fingerprint, which algorithms can update as new types of explosives are utilized by terrorists. If any such fingerprints are detected, an alarm is sounded to alert nearby security personnel. The patented technology was developed with $1.4 million in federal, state and private money. #CHIPS: "Smart automotive controller cuts chip-count"
Freescale Semiconductor Inc. recent rolled out new automotive microcontrollers with integrated high-voltage capabilities for smarter motor-powered capabilities inside the cabin of automobiles. By extending its line of low-cost S12 16-bit microcontrollers, Freescale aims to woo automobile makers who want to make their vehicles smarter without adding to their cost. The S12 MagniV microcontrollers have integrated three functions—processor, analog front-ends for sensing and high-voltage actuation—into a single chip. #MEMS: "Freescale rolls MEMS pressure sensor"
MEMS pressure sensors promise to be the next must-have component for smartphones and touchscreen tablets, because they impart the ability to determine altitude for next-generation location-based services—such as ascertaining what floor you are on in the mall—according to Freescale Semiconductor Inc., which announced a new low-cost Xtrinsic pressure sensor for consumer devices at the Freescale Technology Forum. #ALGORITHMS: "Does Employee Training Increase Turnover?" Enterprises often distinguish themselves by offering excellent training opportunities, thereby attracting the best applicants and creating the most productive employees. Unfortunately, a new study claims that employers may actually be increasing turnover by making their employees more qualified for job opportunities elsewhere. Employee training can be the difference between a trim, efficient workforce and a bloated, incompetent one that wastes enterprise resources and ultimately shrinks the bottom line. As a result, U.S. businesses spend about $134 billion yearly training their workers. Unfortunately, a new study at the University of Iowa maintains that much of that money is wasted, since it merely makes employees more qualified to take better paying jobs at other companies. Compounding the problem is the fact that by increasing turnover, the additional expense of finding, hiring and training new employees is increased as well, driving up costs and further sinking the bottom line. The problem, according to University of Iowa professor Scott Seibert, is that employee training does not by itself instill loyalty. Professional development by itself merely creates the hunger for better opportunities. The key to making employee training programs pay off, is to couple professional-development programs with a clear path to career advancement. "Only those employees who can see a way forward in their careers will stay with an employer," said Seibert. "Otherwise, professional-development opportunities might simply make their workers more employable by other firms." Seibert and fellow professor Maria Kraimer based their conclusions on a survey of 246 employees, who were asked whether their company had provided adequate professional-development programs as well as whether the company also had career-advancement opportunities in-house. The results showed that the employees who took advantage of professional-development programs planned to stay on only if the training was coupled with attractive career possibilities. Otherwise, they were happy to receive the training, but felt no obligation to stay on; in fact, they felt the opposite way and started almost immediately looking for career-advancement opportunities elsewhere. "When career opportunities are low, development support was not related to performance, and it actually increased turnover," said Kraimer. The enterprise that coupled training with a clear path to career advancement, on the other hand, was able to retain their employees and boost their company's overall productivity. The most surprising finding of that study was that "career advancement" did not correlate directly with promotions and raises. In fact, many employees said that job rotation, mentoring opportunities and an improved relationship with their boss created the feeling that career opportunities were available. "Career opportunities are perceptual in nature, so raising perceived career opportunities for employees may be largely a matter of letting employees know more about the range of possibilities that are already available within the organization," the researchers wrote in their study entitled: "Antecedents and Outcomes of Organizational Support for Development: The Critical Role of Career Opportunities." #WIRELESS: "Smarter Sensor Nets Monitor Any Environment"
Wireless sensor networks originally designed to monitor data center server farms by IBM are being deployed in new environments where they repurpose software analytics and cloud computing capabilities to solve a wider array of societal problems. Wireless sensor networks, composed of nodes called “motes,” can monitor local environmental factors like temperature, humidity, barometric pressure and even corrosion, sending a constant stream of data to analytic software running on cloud computers. Originally developed to prevent maintenance headaches at data centers, IBM is now repurposing them to solve a variety of societal problems, such as preserving irreplaceable works of art. Wireless motes are already deployed worldwide in many data centers, providing smart real-time monitoring of server farms that typically reap more than 10 percent savings in continuous energy consumption just weeks after installation. Using IBM’s Data Center Monitoring and Energy Management (MMT) software, analytics are already on the job streaming sensor data from data centers and related installations, such as at AT&T’s Telecom Central Offices. 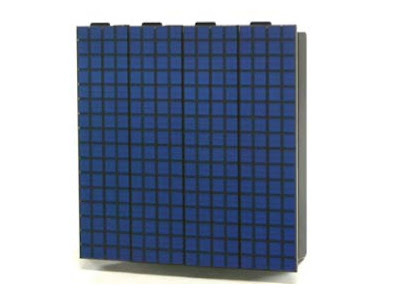 Motes can house any type of sensor, even specialty sensors such as high-precision accelerometers for seismic monitoring, but for monitoring indoor environments the sensor complement typically includes temperature, humidity, pressure and in some cases corrosion sensors. The data from these motes is typically streamed to cloud computers running Java-based real-time analytics that model the environment with physics, then provide operators with 3D visualizations showing maps of the parameters. For instance, a thermal map could illustrate in-tolerance temperatures as “blue” and out-of-tolerance hot spots as red, with yellow and orange showing the gradients in between. One of its first pilot projects is at the New York Metropolitan Museum, where a wireless sensor network is monitoring the environment at The Cloisters exhibit—a branch of the museum devoted to art and architecture from 12th through 15th century medieval Europe. “This pilot project has the potential to become an important tool in the Metropolitan Museum's ongoing efforts to achieve the best environmental conditions for the works of art in our care," said Paolo Dionisi Vici, associate research scientist in the Department of Scientific Research at The Metropolitan Museum of Art. 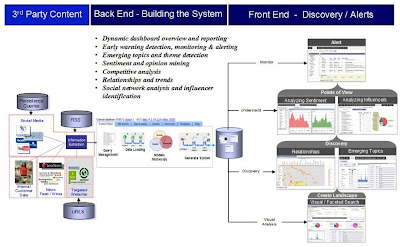 IBM’s wireless sensor network time-stamps each sensor reading, then feeds the results to cloud computing resources, which provide the analytics and real-time visualizations. Currently using 100 sensors, the pilot project is slated to eventually be expanded to thousands of sensors throughout the main museum at Fifth Avenue and 82nd Street, where they will measure temperature, humidity, air flow, contamination levels, light levels, and whether doors are open or closed. The museum is also working with IBM to define smarter types of corrosionlike sensors that can sense actual changes in the materials of which art works are composed, potentially heading off damage to century-old works even before analytic models have incorporated that avenue to deterioration. #NANOTECH: "Nanotubes not toxic, researchers say"
Nanotubes may not be toxic, as previously reported elsewhere, according to the Semiconductor Research Corp. (SRC). Rather, contaminants mixed in during their manufacture should be credited with their adverse health effects, according to a University of Texas study funded by SRC. #ALGORITHMS: "Smarter Implants Shielded From Cyber-Attack"
Medical implants today receive wirelessly transmitted instructions from physicians regarding how to dispense their therapy, opening them to cyber-attacks that could potentially be fatal. However, a novel shield technology could secure access to the implants by virtue of an add-on medallion worn by the patient." Even though there have yet to be any reported cases of cyber-attacks on people with medical implants, such as pacemakers, researchers are intent on heading off the possibility with a shielding technology that works even with existing implants. #CHIPS: "Smarter Cloud on-a-Chip Goes Green"
Intel is distributing a smarter experimental cloud computer on-a-chip to research organizations worldwide. Intel's prototype cloud computer on-a-chip makes smarter use of power, accounting for its recognition earlier this year by the German government, which awarded Intel the Innovation Prize for Climate and the Environment. Intel's single-chip cloud computer holds the promise of drastically cutting the power consumption of server farms at future data centers." Today, server farms use Intel's Xeon embedded processor, which can consume upward of 50 watts. But in its vision of future server farms, massively parallel single-chip cloud computers with sophisticated power management circuitry will consume as little as a half-watt per core. Intel's current single-chip cloud computer prototype houses 48 cores on a single chip that consumes just 25 watts in standby mode, and even when all cores are running full speed, it consumes just 125 watts—about 2.6 watts each. As a result, server farms using the environmentally friendly massively parallel processors could realize the dream of ultra-green IT. To realize the vision, Intel has partnered with research organizations worldwide to help it test and perfect the architecture of future single-chip cloud computers as well as develop the necessary software glue as members of its Many-core Applications Research Community (MARC). Intel's single-chip cloud computer does more with less by partitioning software into parallel executing tasks for which the power-supply voltage and clock speed (and thus power consumption) are tuned to be as low as possible. By carefully synchronizing task execution so that each finishes just in time to make its results available, the power consumption of the cores executing each task is minimized. In the best case, entire blocks of on-chip cores will be turned off completely while the results of other tasks on which they are dependent finish. As a result, future data centers could offer expanded computing resources that nevertheless consume less power while serving users of smart cloud-clients. In Intel's roadmap to the ultra-green, cloud-based data centers of the future—called its Cloud 2015 Vision—the company aims to help businesses implement cloud computing solutions that are federated, automated and client-aware. By 2015, Intel hopes to realize this vision by building servers around single-chip cloud computers housing over 100 cores—each a microcosm of the cloud-based data center itself. Using a packet-based message-passing programming model, Intel's partners are working to create smarter software applications that ditch traditional algorithms in favor of distributed memory models that reduce the need for redundant memory caches that waste power. Instead, smart on-chip mesh communications networks will divide and conquer software by partitioning it into parallel executing tasks, each of which uses the absolute minimum necessary amount of power, thus realizing the dream of ultra-green IT. #MEMS: "GPS system with IMUs tracks first responders"
Tracking devices vendor TRX Systems Inc. last week unveiled a plan to enable people or things to be tracked with pinpoint accuracy regardless of whether they are outside, inside or in the presence of electronic jamming. Global Positioning System devices can help track first responders, unmanned areal vehicles, soldiers and expensive assets, but require an inertial measurement unit (IMU) to work when GPS-signals are unavailable, such as in tunnels, inside buildings, or when electronic interference is present. #ALGORITHMS: "Smarter Building Management Cuts Costs"
Aiming for smarter building management, IBM Intelligent Building Management software can cut power use by up to 40 percent as well as reduce buildings' maintenance costs by as much as 30 percent. According to IDC Energy Insights, the global Smart Building market was over $3 billion in 2010 and will grow to over $10 billion by 2015. And no wonder, since buildings consume a third of the world's energy today and urban growth is driving this demand higher as an estimated 1 million people around the world move into cities each week. IBM estimates that as much as 50 percent of the energy and water used in existing buildings today is wasted, and that by 2025, buildings will be the largest consumer of global energy, surpassing the transportation and manufacturing industries combined. As a result, analysts claim that energy conservation has become the No. 1 priority worldwide for cities, universities, corporations, hospitals and factories. New buildings, of course, can design-in conservation methodologies, but even legacy buildings can benefit from the application of smart analytics by virtue of the multitude of sensors and building control systems that have already been installed there by companies like Johnson Controls and Schneider Electric. As a result, most buildings already have access to a constant flow of data on lighting, heating, air conditioning, manufacturing, and computer use. By harvesting the data from these sensors, IBM's Intelligent Building Management software aims to make any building greener. According to David Bartlett, vice president, IBM Smarter Buildings, organizations seeking to optimize their energy use, can make use of its Intelligent Building Management software to "listen to and make sense of a building's operations, by applying a real-time, analytic approach." To prove its point, IBM recently released statistics showing that its own Rochester, Minn., campus--consisting of 3 million square feet and 35 interconnected buildings--was able to reap an 8 percent energy savings by virtue of following the suggestions made by its Intelligent Building Management analytics. Independent testing is also ongoing at Tulane University (New Orleans) where the Intelligent Building Management software is being applied to its century-old Richardson Memorial Hall, which is being turned into a "smarter building living laboratory" for its architecture students. "We are particularly inspired by the melding of environmental sustainability and technology innovation," said Kenneth Schwartz, dean of Tulane’s School of Architecture. 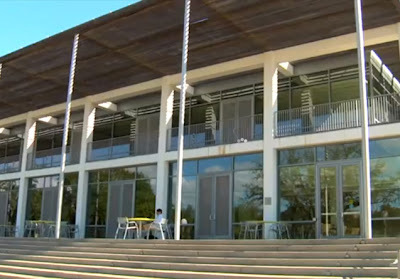 As a test bed for a new generation of architects, Tulane will be using IBM's Intelligent Building Management algorithms to provide a "holistic efficiency" approach that monitors air temperature, humidity, water temperature and other parameters to minimize the consumption of natural resources without affecting the quality of comfort in the rooms. 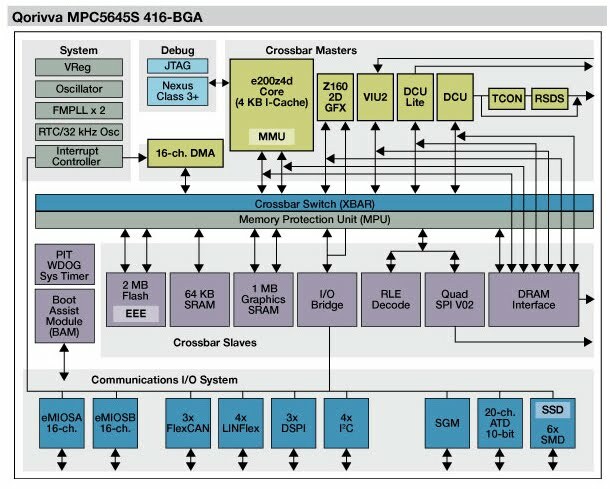 #CHIPS: "Analog realism, animation for every dashboard"
Freescale Semiconductor Inc. claims to have the world's first single-chip microcontroller capable of rendering analog automotive gauges, complete with 3-D shadows, as well as complex informatics such as iTunes-like 'cover flows.'" #ALGORITHMS: "Cloud Computing Melding With Popular Apps - Smarter Strategies"
Mainstream software vendors are using the cloud-computing model to extend the capabilities of traditional desktop programs. 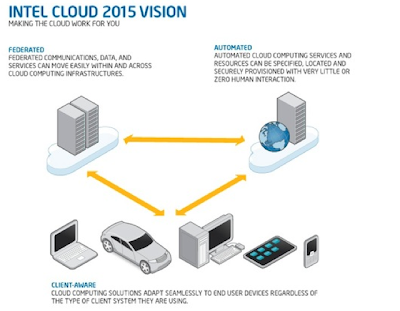 Microsoft and Apple are not the only mega-corporations committing to cloud computing. The writing on the wall has also been perceived by Adobe Systems—maker of Photoshop, Flash, Acrobat and more than 100 other popular programs—which is quickly integrating cloud-based services. Adobe's most basic cloud-based service is SendNow—the enterprise version of consumer-grade services like DropBox and YouSendIt. With SendNow, enterprise users can share text, audio and video files by uploading them to Adobe's cloud, from which recipients can download them after receiving an email notification. Later this year Adobe is slated to allow enterprises to brand their SendNow file transfers with their logo, turning the cloud-based service into a powerful tool for distributing brochures and other large files to thousands of clients simultaneously. An app is also in the works. Apps for both Android and iOS are already available for two other Adobe cloud-based services called Life Cycle and Connect. The Life Cycle app includes cloud-based task approval, on-site data capture, on-demand content and other business-to-business services. And Adobe's Connect app allows mobile users to participate in Web conferences with equal status to desktop Connect users. Adobe is also seeking to extend cloudlike services to the millions of professionals and consumers using its wide array of desktop applications by creating an array of apps with add-on capabilities. Adobe already uses a cloud-based service to protect its software from illegal distribution whereby its applications check with the cloud to see if other users are running the app with the same serial number. Now verified desktop applications can use this service to connect with its array of apps. Foremost among these is Photoshop—the industry-standard image creation and modification application—for which Adobe has created a half dozen apps to extend its capabilities. For instance, its Nav app turns a wireless touch-screen device, running iOS or Android, into a control surface for Photoshop, allowing app users to select specific tools and switch between open images by merely tapping their preview icon on an Android or iOS touch screen. The process works with a setup procedure whereby the IP address of the desktop computer—already validated by the cloud as the only running copy—is then distributed to the touch-screen app. Thereafter, communication between the app and Photoshop passes directly over wireless WiFi. Other Photoshop-extending services include the Eazel app, which turns an Android or iOS touch screen into a tablet input device for Photoshop, so that your finger becomes a paintbrush. Similarly, the Color Lava app lets users create themed color swatches. And the Viewer app extends Adobe's page-layout program, InDesign, with the ability to provide real-time previews of its open documents. #MEMS "FEI claims ion beam breakthrough for MEMS, 3-D ICs"
Semiconductor development has long depended on high-end focused ion beam (FIB) tools to cut cross-sections that reveal details views of advanced processes down to the nanoscale. However, these tools could take up to 12 hours to dissect the micron- and millimeter-scale features of MEMS chips and of 3-D stack chips, such as through-silicon vias (TSVs). Now, tool vendor FEI Co. claims to have reinvented the focused ion beam for 3-D ICs and MEMS. #CHIPS: "Freescale, BMW team on 360-degree view"
Parking assistance systems that give drivers a 360-degree view of obstacles around them are currently only available on high-end models, but Freescale Semiconductor Inc.--working with engineers at BMW--claims to have created a technology capable of reducing the cost enough to make them standard equipment. #CHIPS: "FEI claims ion beam breakthrough for MEMS, 3-D ICS"
Semiconductor development has long depended on high-end focused ion beam (FIB) tools to cut cross-sections that reveal details views of advanced processes down to the nanoscale. However, these tools could take up to 12 hours to dissect the micron- and millimeter-scale features of MEMS chips and of 3-D stack chips, such as through-silicon vias (TSVs). 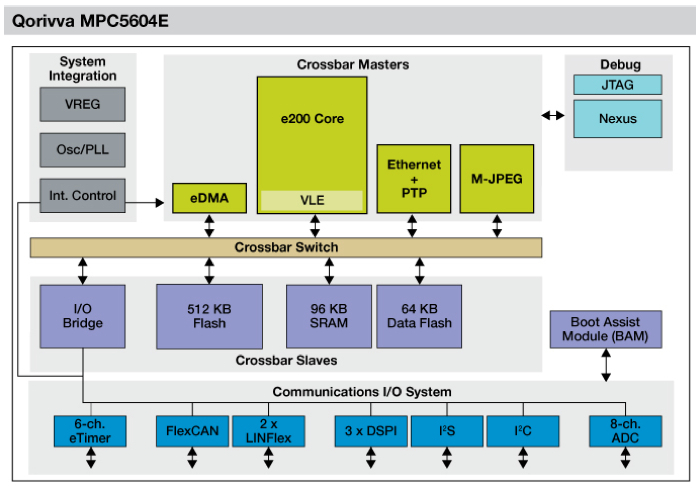 Now, tool vendor FEI Co. claims to have reinvented the focused ion beam for 3-D ICs and MEMS." #WIRELESS: "Keeping Pace With the Exabytes of Medical Data"
Smart applications like the free AsthmaMD help patients create diaries that caregivers can access to make sure directions are being followed and medications are being taken on time. The overwhelming abundance of health data is prompting the development of smarter health analytics integrated with cloud computing to quickly sift out the nuggets of knowledge that help patients. Health data is growing at a rate of 35 percent per year, according to the Enterprise Strategy Group, creating an abundance of riches requiring smarter health analytics to mine the data overload. Already over 27 percent of doctors are using handheld electronic devices to access medical data in the clouds—a rate of adoption that is five-times greater than the general population. However, the cloud-based data they must analyze is growing even faster, estimated to reach as much as 14 exabytes (billion gigabytes) by 2015. The dramatic expansion of health analytics prompted doctors to start carrying not only stethoscopes but also smart phones, touch-screen tablets and handheld PCs to attain instant access to EMRs (electronic medical records). In addition, with real-time electronic access to medical-monitoring equipment, doctors can now remotely monitor patients from their offices, during hospital rounds or while on call. But to make sense of this abundance of data, health analytics has been enlisted to extract insights from the hidden meanings buried in those medical records, exams, imagery and pathology reports. To craft the technologies needed to sift through the volumes of data streaming to the clouds from medical monitors, as well as to provide instant access to massive archives of medical records, IBM founded its Health Analytics Solution Center (Dallas) two years ago. There the talents of hundreds of health analytics experts and technical specialists are melding with IBM Research's Business Analytics and Optimization consulting organization. 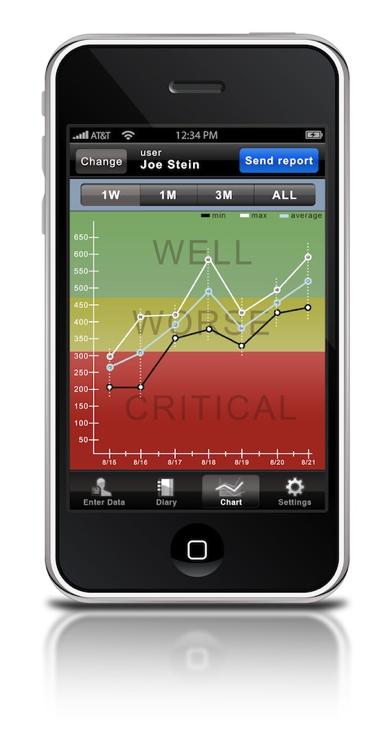 Hosted in IBM's Dallas-based Global Solution Center, the Health Analytics Solution Center has enhanced the collection and analysis of streaming data from patient-monitoring sensors, medical instruments and handheld diagnostic devices. By simplifying the collection and analysis of medical data, doctors, nurses and hospitals have been able to more effectively manage patients’ diseases, monitor the quality of services provided, maintain ongoing patient population studies, as well as initiate regular performance reporting. And even after a patient leaves the hospital, wireless remote monitoring allows caregivers to watch for complications by monitoring temperature, blood pressure and pulse readings. In addition, patient-oriented smartphone applications help patients create medical diaries that caregivers can access to make sure patents are following directions and taking their medications on time. Besides caregivers, IBM's Global Solution Center also strives to empower patients to make more informed decisions, medical device makers to improve patient satisfaction and health insurance companies to accurately predict trends. The Health Analytics Solution Center is also retooling the artificial intelligence algorithms used in Watson—IBM's supercomputer that recently defeated the human champions on the game show “Jeopardy”--to harvest medical data for its context and meaning. Using voice-recognition technology from partner Nuance Communications Inc., along with medical terminology management by Health Language Inc., IBM is retreading Watson to analyze millions of medical records, articles in medical journals and entries in medical encyclopedias. Integrated voice recognition will allow doctors not only to update medical records, enter notes and interact with medical databases using voice, but will also allow them to consult with a new version of Watson specialized at making accurate medical diagnoses. #WIRELESS: "Touchscreens being integrated inside LCDs"
Current touchscreens are add-ons that are overlaid atop a standard display, but display manufacturers are gearing up to add touchpads inside the stack of standard LCD materials. Samsung and Nokia already have already integrated touch into the the OLED displays on their Galaxy S and N8 smartphones, respectively. #DISPLAYS: "Smarter Organics-Based Displays Provide Visual Realism"
Unparalleled visual realism is being created by smarter electronic displays using organics, as demonstrated by the new spherical mega-display in Japan. Just as organics are driving the development of future semiconductor microchips that can achieve feats not possible today—such as printing circuits on flexible plastic—organics are likewise creating unparalleled visual realism in displays. If you are in Japan this weekend, check out world's first large-scale organic display at the National Museum of Emerging Science and Innovation (Tokyo). Just as organics are driving the development of future semiconductor microchips that can achieve feats not possible today—such as printing circuits on flexible plastic—organics are likewise creating unparalleled visual realism in displays. If you are in Japan this weekend, check out world's first large-scale organic display at the National Museum of Emerging Science and Innovation (Tokyo). Today's screens are mostly flat, inorganic, liquid crystal displays, which offer excellent color and contrast—that is, until you compare them side-by-side with organic light-emitting diode displays. OLEDs are thinner and lighter than LCDs, can be deposited on flexible plastic substrates and can display almost perfect blacks, since they do not use backlights. Instead, they provide their own internal illumination for each pixel (which can be turned completely off for super-high contrast ratios). OLEDs can also be viewed from almost any angle with very little change in luminosity and almost no color shift, making them perfect for large-scale displays in public places where people will be viewing them from nearly any angle. The premiere example of OLEDs’ capabilities will be put on public display this weekend (June 11, 2011) at Tokyo's National Museum of Emerging Science and Innovation. 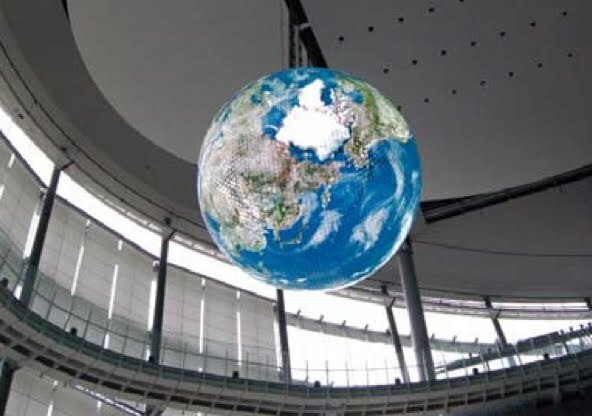 At that time, the museum will unveil a 20-foot diameter spherical globe (suspended 60 feet above the lobby floor) whose OLED surface displays the entire Earth. Crafted by Mitsubishi Electric Corp., the giant globe is covered with over 10,000 four-inch square OLED displays. Each display will be responsible for recreating the cloud cover, ocean and continents of a specific area of the Earth. The images will reply on satellite imagery processed using cloud-computing resources to provide updates on how the world looks to a viewer in space. The unveiling of the new globe is part of the celebration of the 10th anniversary of the museum. It previously had a globe studded with inorganic LEDs, similar to many other large-scale displays worldwide. The realism of the new globe, however, will be unique, making it a fitting tribute to the now decade-old National Museum of Emerging Science and Innovation. The globe was constructed atop an aluminum sphere, covered with 10,362 OLED panels, each measuring 96 by 96 millimeters. The smarter globe will present over 10 million pixels to viewers, which is about 10 times greater than the previous LED globe hanging there. Today, the only examples of OLED displays for consumers are on small-scale screens, such as the Samsung Galaxy S smartphone. The problem with doing large-scale screens has been environmental contamination. Organic displays can fade like old newsprint when exposed to oxygen or moisture; this can be remedied by encasing them in glass, which works well for small displays. The globe at Tokyo's National Museum of Emerging Science and Innovation overcomes this problem by combining thousands of small glass-encased displays side-by-side. 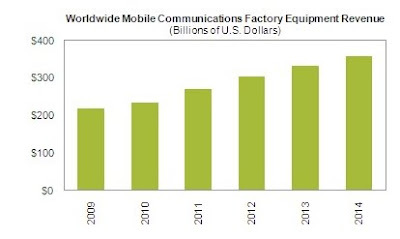 #WIRELESS: "$1 Trillion in Revenue for Mobile—Not Enough?" 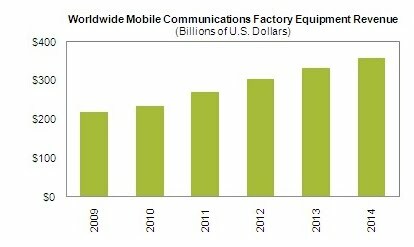 Mobile network operators are creating a huge market, the size of which is matched by only a few other mega-industries. With revenue on track for $1 trillion within the next five years, analysts nevertheless predict it will not be enough for these companies to make a profit. Juniper Research recently predicted that mobile network operators will grow a trillion dollar business by 2016, but surprisingly, it also predicts that if spiraling costs are not reined in by then, mobile operators will be losing money! 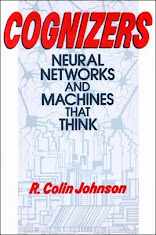 Called the "nightmare scenario" by Juniper Research, the surprising results come from extrapolating operator's growing costs as users are added worldwide. In particular, as the user base expands, covering more and more territory, new methods must be found to cut network build-out as well as operating costs. Remedial action must be implemented over the next four years to head off the shortfall. The usual suspects are to blame, according to the report, in particular the falling average revenue per user, which is conspiring with slowing growth due to local market saturation. As a result, revenue is expected to flatten over the next few years at the same time that smartphone users are creating increasingly more data traffic. That data traffic, which already doubled in 2010, will increase by more than 13 times over the next four years reaching a grand total of 25 exabytes (25 billion gigabytes) by 2015. To meet users expectations for faster speeds for transferring all that data, the mobile network operators will need to dramatically increase their backhaul bandwidth—which costs a bundle—resulting in shrinking profits unless measures are taken now. The light at the end of the tunnel for the large operators, unfortunately, will not be generated by next-generation technologies. But there is one exception. The one next-generation technology that Juniper Research cites as a good candidate for drastically cutting costs is offloading data channels of video content by developing Integrated Mobile Broadcast. IMB makes use of neglected TDD (time-division duplex) channels that today are underutilized by operators. 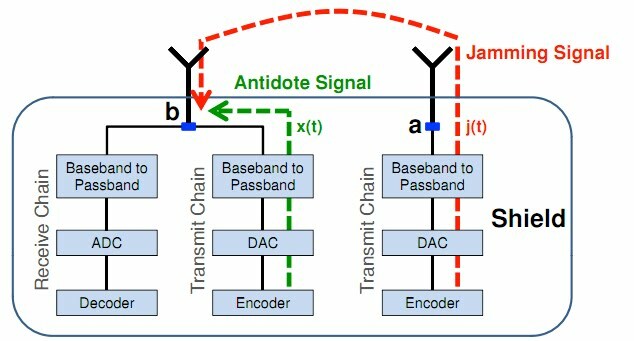 Using TDD channels for broadcast video could offload data channels, thus reducing both operating costs and decreased backhaul needs. One interesting side note in the report is that smaller mobile-network operators may in fact be better off, since they should be able to gain a competitive advantage by retaining the flat-rate data bundles that the larger operators can no longer afford to offer. #WIRELESS: "Smarter Apps Harness Dual Touch Screens"
Multipane apps are enabling a tablet-like experience on smartphones. This is done through touch-enabled functions that are activated from one touch screen, with results displayed on the other touch screen. 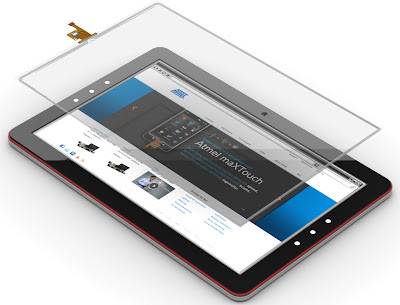 Multipane smartphones allow apps that ordinarily take over the entire screen to also spread out functions across dual touch screens, creating a tabletlike experience on dual screen smartphones. 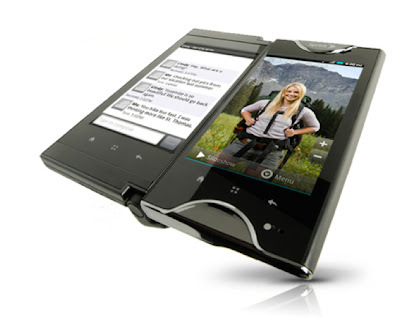 Sprint started the trend when it introducing the world's first dual touch-screen smartphone, Kyocera's Echo, whose second screen slides out on a patented hinge. Apps can use both screens over-under like a tiny laptop--using the lower screen for a virtual keyboard and the top one as the display. Recently, Sony announced a similar dual touch-screen smartphone called the S2, whose two screens also make it resemble a tiny laptop. Software developers were already faced with rewriting their apps designed for single portrait-oriented displays to take full advantage of the landscape-orientation of tablets (for example, iPad/Galaxy Tab). Now in addition to smartphone and tablet versions, software developers are being asked to retool their apps for dual touch-screen smartphones, too. One solution, however, makes the best of both worlds--smartphone and tablet--and is now being taken advantage of by app developers who orient the Echo's two screens side by side. So far, 30 apps have been specifically customized for Echo's dual display, mostly using the over-under orientation with the virtual keyboard on the bottom. Most gaming developers have gone with the over-under orientation, putting their specialized control surfaces on the bottom screen and the arena on the top screen. 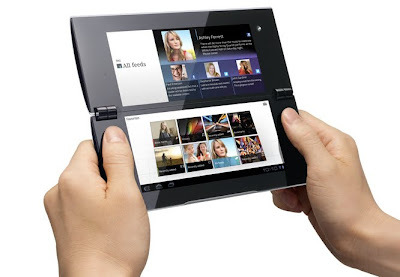 A third choice, however, is to recreate the tablet experience on a dual-screen smartphone by spreading out the functions of a tablet over both screens. By using a side-by-side format, Metago's Astro File Manager will debut in a dual touch-screen version next month--re-creating a tablet experience on a smartphone. "You get the best of both worlds," said Metago founder Kevin Payne. 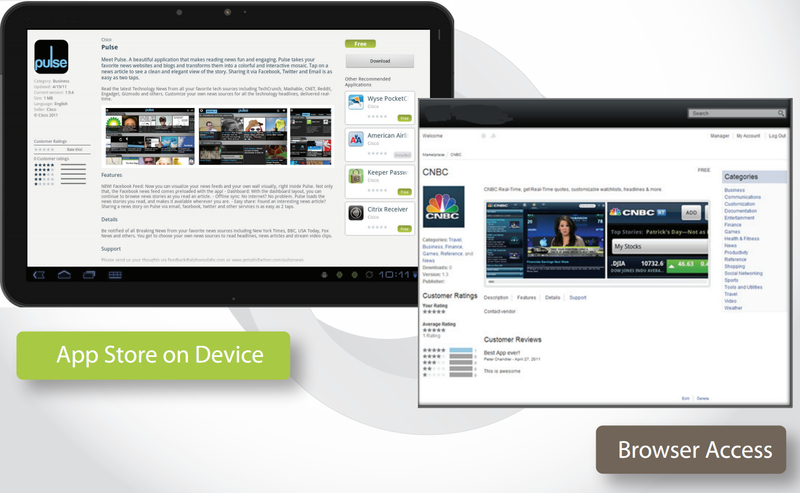 "We were already developing a tablet version of the Astro File Manager that featured a new control panel alongside our traditional directory panel, so for Kyocera's Echo we took advantage of their side-by-side screens to re-create that tabletlike mode." Metago’s Astro File Manager is one of the most popular apps for Android, with more than 11 million downloads and counting at a rate of about 25,000 per day. Using a traditional directory view, the Astro File Manager is both an applications manager, a task manager and an SD Card manager, permitting users to browse, search and preview both text and image files. Toolbars and button-activated functions extract archives, create shortcuts, bookmark items and connect to PCs, file servers, cloud services and other mobile devices using Bluetooth and many other network protocols. For the future, Metago plans to release a suite of related business apps designed for routine daily usage, including device management services and backup support. #WIRELESS: "Touch mania swipes across markets"
Touchscreens have been available since the days of cathode-ray tubes, but the technology didn’t really catch on with consumers until mobile phone makers adopted it to solve the tiny-button problem. Now touchscreen smartphones and tablets collectively constitute the fastest-growing electronics market segment. 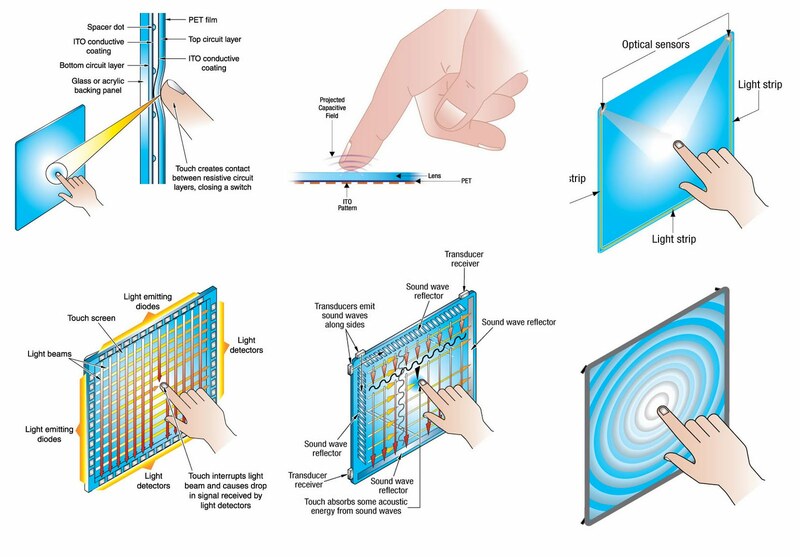 According to DisplaySearch (Santa Clara, Calif.), shipments of touchscreen tablets are forecast to reach 60 million units in 2011 and could top 260 million units by 2016. Add to that the more than 400 million mobile phone touchscreens predicted by IHS iSuppli Corp. (El Segundo, Calif.), and the total market could top $10 billion this year. 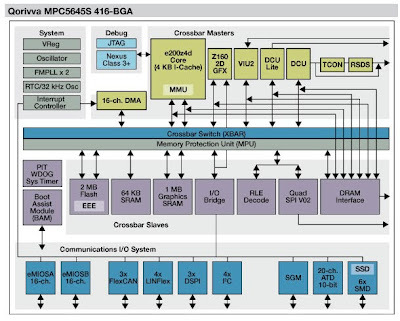 #MEMS: "Epson IMU melds precision, low-cost"
Epson Electronics America Inc. (EEA) aims to cash-in on a growing market for high-end inertial measurement units (IMUs) by cutting their cost by 50-fold with a high-precision model that combines the ultra-small size of micro-electro-mechanical systems (MEMS) with the ultra-low-power of piezoelectrics. Epson's IMU aspirations will be described this week at the Sensors Expo and Conference in Chicago. 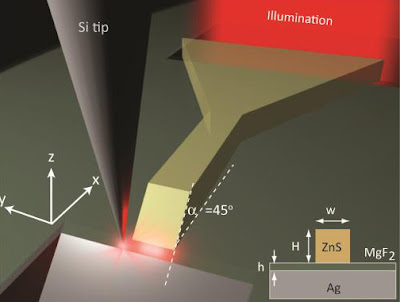 #OPTICS: "Nanoscale waveguide boosts silicon photonics"
The world's first 'truly nanoscale' silicon waveguide for integrated on-chip optical communications was recently claimed by Lawrence Berkeley National Laboratory. Based on its invention of a new type of quasi-particle called a hybrid plasmon polariton, Berkeley Lab's HPP sidesteps optical losses plaguing earlier attempts at silicon photonics with a new operating mode that makes the best of photonic and plasmonic systems—combining high quantum confinement with low signal loss, thus opening the door to the nanoscale on-chip lasers, quantum computing, and single-photon all-optical switches. #ALGORITHMS: "Business Apps Line Shelves of Enterprise Stores"
One-stop shops that service all mobile operating systems can be leveraged by organizations to make approved apps for all platforms available to a company’s workers. Last year, Apple quietly let the enterprise begin opening their own company stores from which employees could download private-label applications. Now entrepreneurs are pursuing a vision of one-stop application stores for Android, iOS, Nokia, RIM BlackBerry and Windows Phones. Today, users in pursuit of applications visit either Apple's iTunes App Store, Google's Android Market, Nokia's Ovi, RIM's BlackBerry App World or Microsoft's Windows Phone Marketplace, depending on the make of their smartphone. Each of these services allows users of their smartphones to download applications—which are growing by the thousands monthly. Often without a smartphone of the right brand, it is difficult to even browse available applications. And for corporate users trying to decide which smartphone to buy, comparing one smartphone’s available applications to another’s is almost impossible. The problem is more acute for so-called "company stores," where corporate IT would like to provision house-designed applications alongside third-party and built-in applications so that employees have a single portal where they can browse IT-approved and provided applications regardless of the user's smartphone operating system. Google Apps Marketplace and SalesForce's AppExchange solve some of these problems, but a new service was recently unveiled by Partnerpedia that claims to provide a complete solution for one-stop application stores serving corporate IT customers. "Organizations need solutions that can bridge the needs of IT while satisfying requirements from end users," said Mark Sochan, CEO of Partnerpedia, which allows IT to "maintain corporate policies and procedures while reducing support costs, all the while enabling end users to be as productive as possible." Partnerpedia, which cites a Strategy Analytics report claiming that 61 percent of U.S. corporations now support employee tablets, offers enterprises their own private-brand application store. This approach gives IT full control over the licensing, distribution, installation and management of applications on end-user devices. Called the EAS (Enterprise App Store), it can house applications written internally at an enterprise as well as offer the IT-approved applications from third parties all in a one-stop application store. The private-branded Enterprise App Store today can house both Android and iOS apps side-by-side, and is currently being expanded to cover the other popular smartphone operating systems. By focusing on IT concerns regarding security, control, management and maintenance, the Partnerpedia Enterprise App Store coordinated distribution of internal developed applications at the enterprise as well as approved third-party applications from independent software vendors. EAS submits both to the same approved corporate policies and procedures, thus reducing IT support costs while offering users a uniform comprehensive experience. Enterprise App Stores use Partnerpedia's private-label cloud service to manage user license management, application provisioning and decommissioning, remote installation of updates, code signing, ratings and recommendations. Enterprise App Stores also enlist partnership among enterprises for enablement, collaboration and go-to-market solutions.